We are excited to offer you a wide range of workshops to choose from. Workshops are a fun way to learn new things - come on your own and make new friends, or bring old friends with you - either way, you will have a great time. TO BOOK ANY OF THE WORKSHOPS BELOW, PLEASE EITHER EMAIL INFO@NOTJUSTBOUQUETS.COM OR CALL 07836-581096. Participants will be hands on in making their designs and will be able to take them home at the end of the course. Coffee/Tea and lunch each day will be provided, as well as materials. Participants will construct a linear arrangement as well as a tied design and will be able to take these home at the end of the day. Coffee/Tea and Lunch each day included, as well as all materials required. Come and join us for a full day workshop taught by our Master Florist, Ann, where you will make all your Christmas decorations in one day. 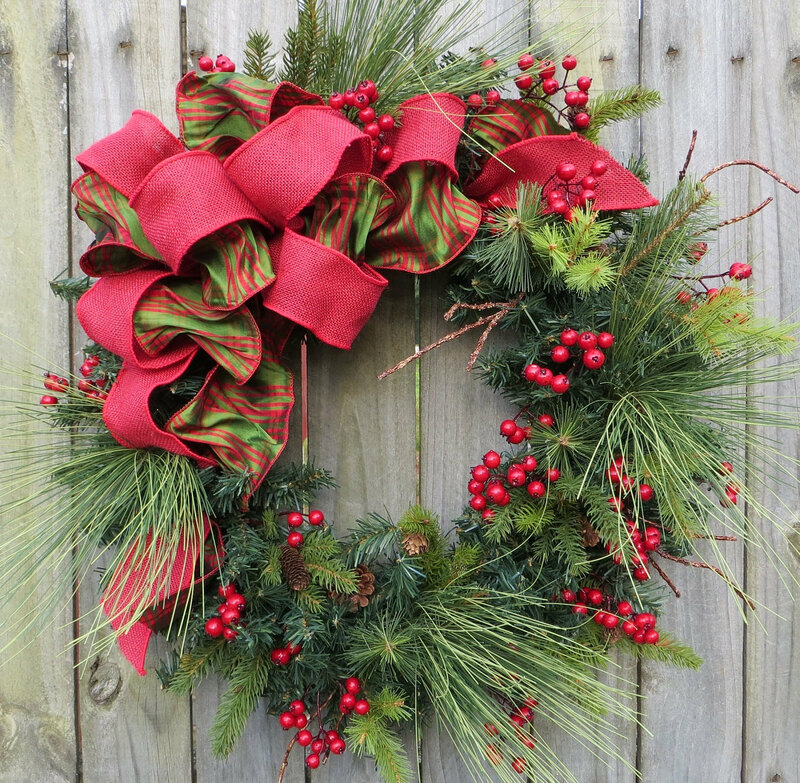 Ann will show you how to make your own Christmas Wreath, Garland, Table Centrepiece, and Swag with a mix of fresh greenery. We will provide the frames, the greenery, ribbon, and a selection of dried fruit and pinecones for you to choose from. You bring your own Christmas Baubles (if you want to use them) so that you can personalise your wreath to your exact colour scheme. Tea and coffee, as well as a light lunch will be provided. 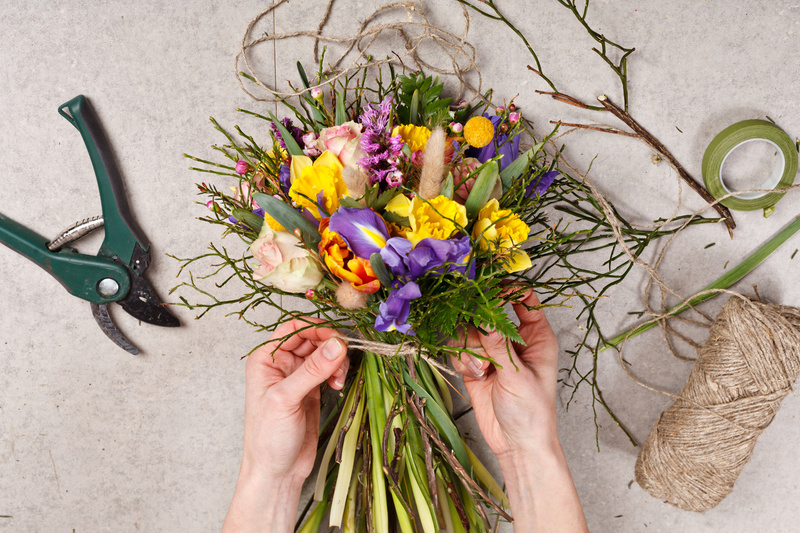 This is a great opportunity to be taught by one of the top florists in Wiltshire and also learn a new skill. Spaces are limited so please book early to avoid disappointment. If you are interested in a workshop and there is no space, please contact us as we may be able to offer an additional date for the workshop.